The International Secretariat of Defence for Children International is grateful to her partners and sponsors for their support to realize our work on Children’s Rights. The Canton de Genève, specifically, le bureau de la Solidarité international, is funding project collaboration with our national section, Defence for Children Palestine, to establish a regional network on juvenile justice in the MENA region (Middle East North Africa). Le bureau de la Solidarité international is a department of the Canton of Geneva that supports projects striving to promote sustainable development in order to contribute to the fight against poverty in less developed countries and to address socio-economic inequalities, discrimination and exclusion. The project is titled: Maa’n for Adala-Together for Justice. 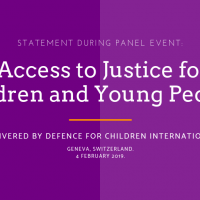 Ville de Genève, specifically, Departement Genève Ville Solidaire (DGVS), is working with Defence for Children International to support the capacity building of the national sections in relation to the framework of the programme ‘ Together for Justice’. Ville de Genève / DGVS is in charge of implementing the policy of international cooperation of the city, dedicated to the international solidarity fund. The Delegation Genève city solidarity supports projects such as the reduction of poverty and social inequality, the promotion of human rights and the strengthening of the capacities of disadvantaged populations. Loterie Romande is a Swiss association legally governed under Swiss Civil Code with the purpose of organising and operating lottery and betting income to public utility-social, cultural, research or sports institutions-that benefit the six French speaking cantons of Switzerland. Loterie Romande fulfills a mission of public interest based of one of the most unique models in the world: 100% of its profits are distributed to non-profit institutions. It supports thousands of French-speaking Switzerland associations working for the community. Defence for Children International has a project supported by Loterie Romande for the promotion of children’s rights in juvenile justice, in collaboration with the World Organisation Against Torture. ICCO & Kerk in Actie, an interchurch organisation focused on development cooperation that works in 44 countries throughout Africa, Asia, and Latin America is working on a project with Defence for Children International to support the creation of child-friendly justice systems worldwide. ICCO & Kerk in Actie is also supporting several other Defence for Children national sections worldwide and can be considered one of the institutional supporters of the Movement. The Royal Ministry of Foreign Affairs of The Netherlands in relation with Defence for Children International and Defence for Children – ECPAT The Netherlands are collaborating on a project titled, ‘Reducing Violence Against Children with special focus on sexual exploitation’. The Royal Ministry of Foreign Affairs of The Netherlands has a section of its organisation focused on the advocacy of human rights, including but not limited to supporting human rights defenders and combating the most serious human rights violations. In collaboration with Defence for Children – ECPAT The Netherlands, the Ministry is working on the project to reduce violence against children and end the exploitation of children. The Ministry of Foreign Affairs of Luxembourg supports our programme ‘Together for Justice: how Defence for Children human rights advocates can uphold their action in defending child rights in the justice system’. It is a project to enhance advocacy, capacity building, training and awareness raising programmes for child rights advocates of Defence for Children International. The Minister for Foreign Affairs of Luxembourg is strongly involved in development cooperation with civil society organisations, and in effect, its one of the prominent ministries in Europe to support civil society organisations with development programmes. The Royal Ministry of Foreign Affairs of Norway is supporting in the core-funding of our programme ‘Together for Justice: how DCI human rights advocates can uphold their action in defending child rights in the justice system’. Norway as well as Luxembourg are integral parts in allowing for the project Together for Justice to exist. The Royal Ministry of Foreign Affairs of Norway focuses additionally on international development policy concerned with saving lives, alleviating suffering and protecting victims of war and conflict. 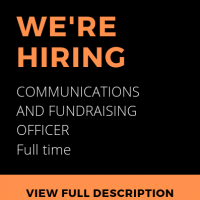 Its financial support aids Defence for Children and other NGO’s with their development programmes to reduce humanitarian conflicts, as it has specific focus on human rights and the promotion of democracy internationally.